Description: This used Intratec TEC-22 is a semi-automatic pistol which fires the .22 LR round. It has a 4" barrel with muzzle break and two tone finish. This includes 1 30-round magazine and Barska red dot. 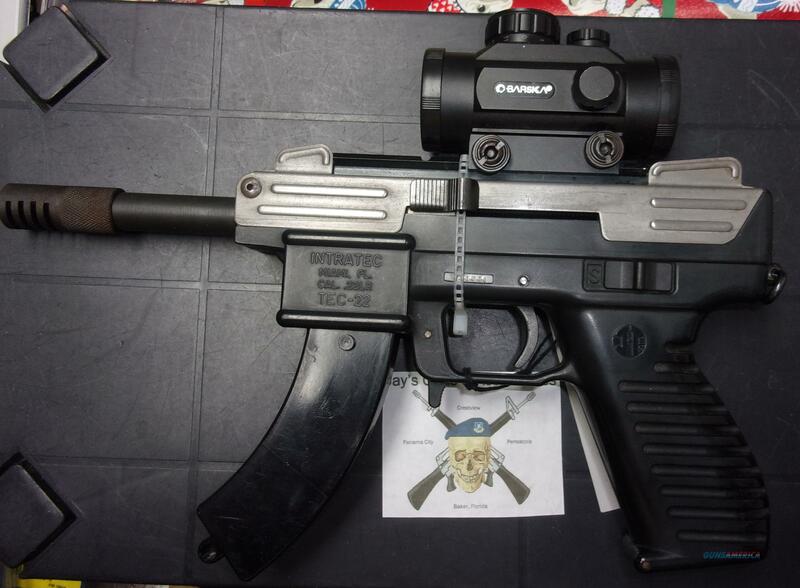 This pistol uses Ruger 10/22 magazines. It is being sold AS-IS (no refunds/returns).